“Anda’s Game” is a short story collected in a 2007 book by Cory Doctorow titled Overclocked: Stories of the Future Present, one of Doctorow’s books published under a creative common’s license. The license encourages remixing and sharing, provided proper credit is given and the same license is used on the derivative work. 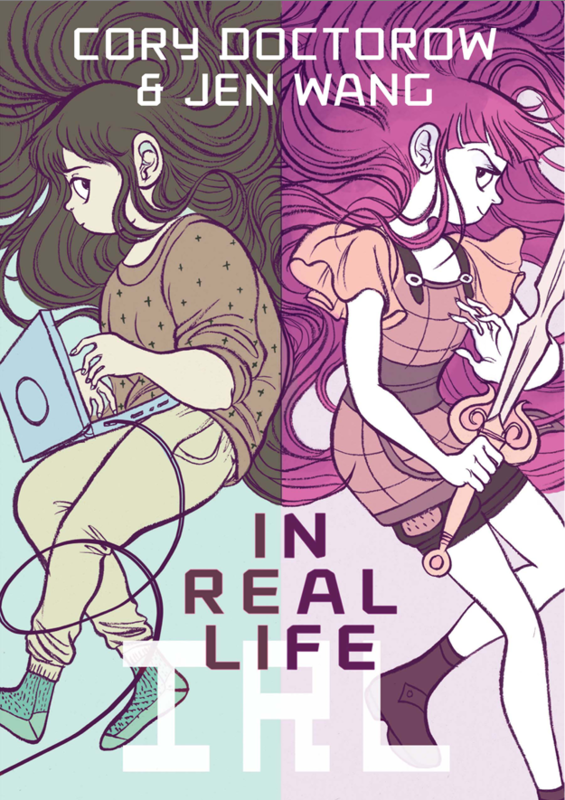 Doctorow and Wang have done something of the sort with In Real Life, a title from First Second Books due out October 14th – IRL is a retelling of Doctorow’s “Anda’s Game,” a story about gold farming, friendship, and labor rights. Title character Anda is a girl who is wrapped up in gaming. She takes a game design class in high school. She plays games online. So when the leader of an all-women’s guild on the popular Coarsegold MMORPG comes to their school to promote playing games as a girl, Anda jumps into an imaginary world of dragons, pixies, beasts, and other fantastic creatures. She gets mixed up with an older girl who leads her towards slaughtering in-game gold farmers, players whose livelihood is wrapped up in performing menial game tasks and selling the in-game items for real money. At first it’s literally all fun and games for Anda until she finds out these gold farmers are real people – people who play the game for work and for fun. Unfortunately, the writing stays a bit too on message for my tastes –Anda learns not to be a bully and then helps the gold farmers organize a strike to reinstate her friend Raymond, a Chinese boy who gets sick after working to exhaustion. The writing is predictable and somewhat watered down – any nuance gets swept up in Doctorow’s breathless exhortation on the new and different world of the internet. 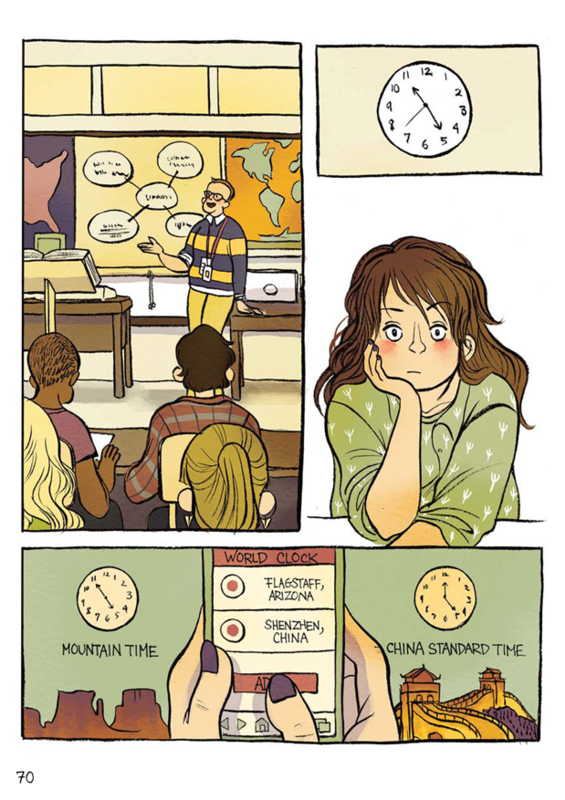 The allure of In Real Life is Jen Wang’s gorgeous cartooning. 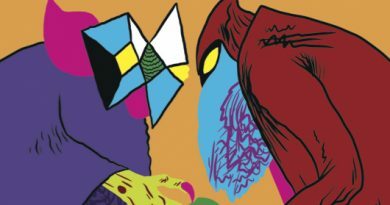 Wang shifts color palette based on the world Anda is in – teals, pinks, and splendid oranges fill the pages in the world of Coarsegold, while more muted greens, yellows, and earth tones make up Anda’s real world. Wang makes the strangeness of MMORPG fighting seem dynamic and fluid. 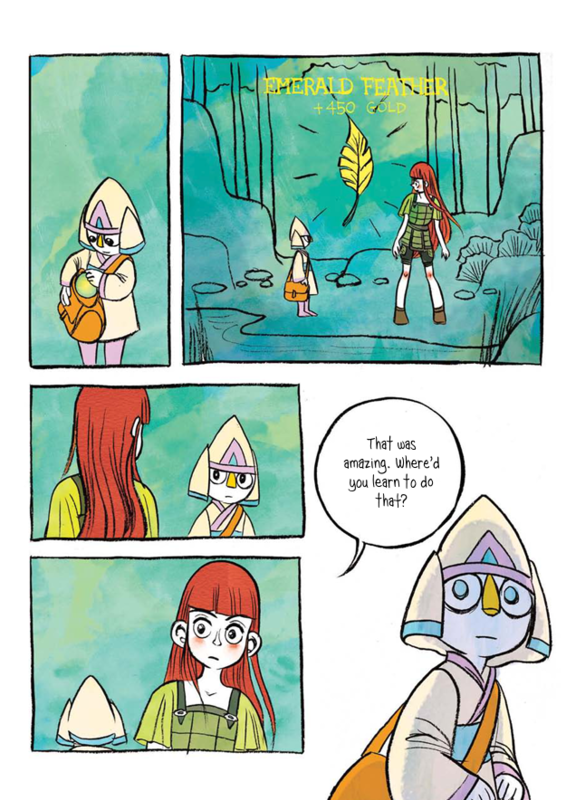 More importantly, Wang makes Anda into a really wonderful character. Anda’s expressions and reactions work so well within Wang’s watercolor art. The character design is really top-notch. While In Real Life isn’t the most nuanced portrayal of the economic and political forces of the internet, it does serve very well as a first lesson in the subject. Perhaps, importantly, the story works well as a comic as Wang’s beautiful art pulls a somewhat plodding script up by its bootstraps and makes it work better than it can by itself. Cory Doctorow is an activist and writer. He co-edits the website boingboing. 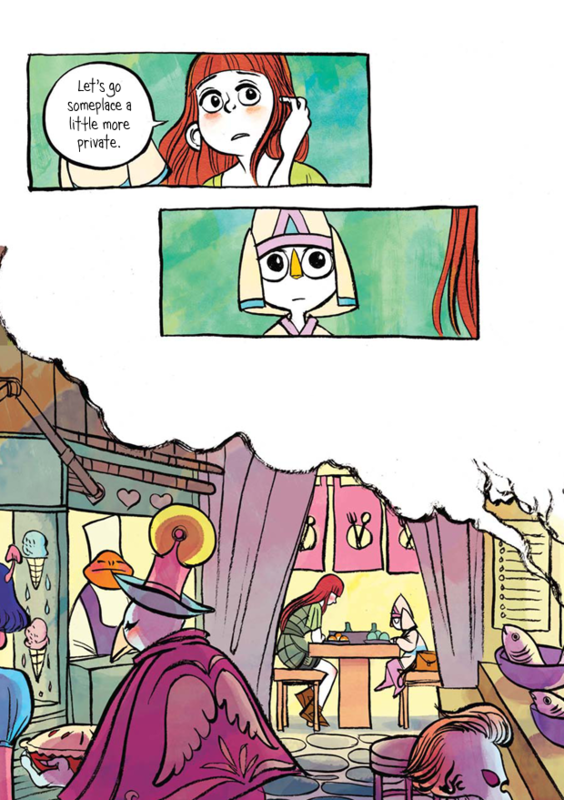 Jen Wang is a comics artist and illustrator. You can find more of Wang’s work here. Wang’s twitter handle is alooghobi. In Real Life is Wang’s second book with First Second (tumblr: firstsecondbooks) – the first, Koko Be Good, was published in 2010.